It is no coincidence that younger fashionistas look cooler. And though being cool has never been a particular aim of mine and shouldn’t, in my view, be an aim in itself , it certainly makes an impact when it describes a confident appearance, an easygoing attitude, a calm demeanor, or just simply a self-assured person. It is therefore no surprise that teenagers and young girls taking their first steps in the world of fashion and style look cool. Their choices are natural and almost unconscious. And even if, by mistake, they put on some rather old- fashioned item of clothing, they always have their youth as mitigating circumstances. With the passing years, we become more conscious, aware, and uptight—trying too hard to impress others and be considered stylish. The risk of looking older than our age aside, we can also easily become victims of expensive items, their worth coming from their brand name rather than their exquisiteness. Money can buy us endless opportunities but not necessarily chic and good taste. In other words, while being "cool" should not be our goal, nor should finding reprieve in adopting a conformist style. In fact, avoiding conformism could easily be the subheading of this series I entitled Exuding Personal Style. 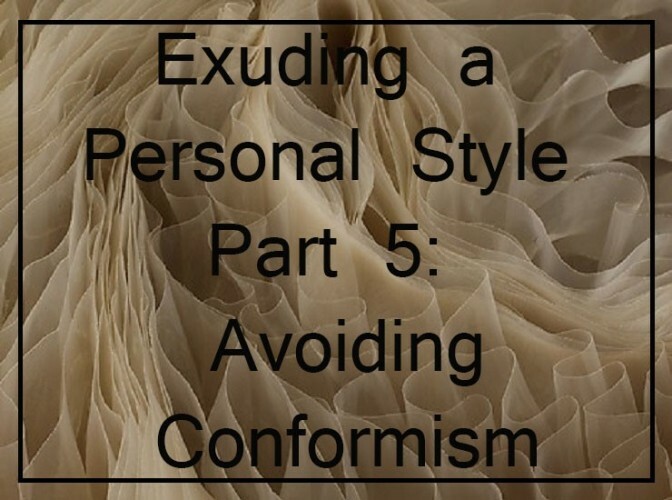 It is all about building your own personal style, a style based on your age, taste, budget and lifestyle, and eliminating the obvious, the expected, and the undemanding choices. 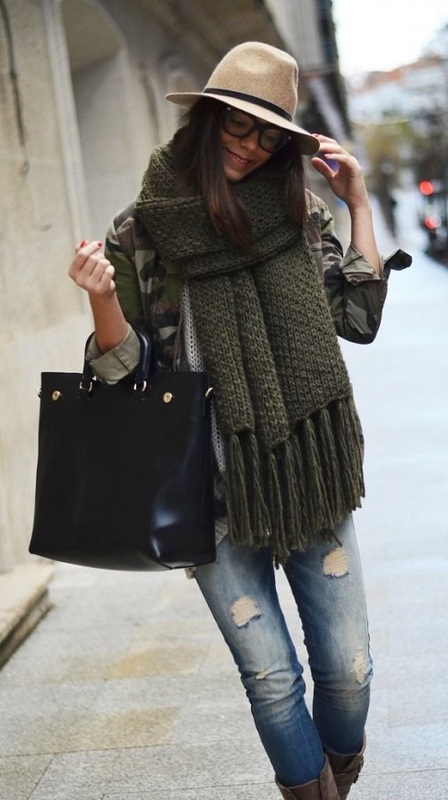 Take, for example, distressed jeans (a trend which has in fact become the consensus). I had an immediate and instinctive attraction to this style. I started with the modest, easy kind of ripped touches. And as I got used to them, the shreds gradually grew and grew. My last pair from Current/Elliott are really quite a mess. 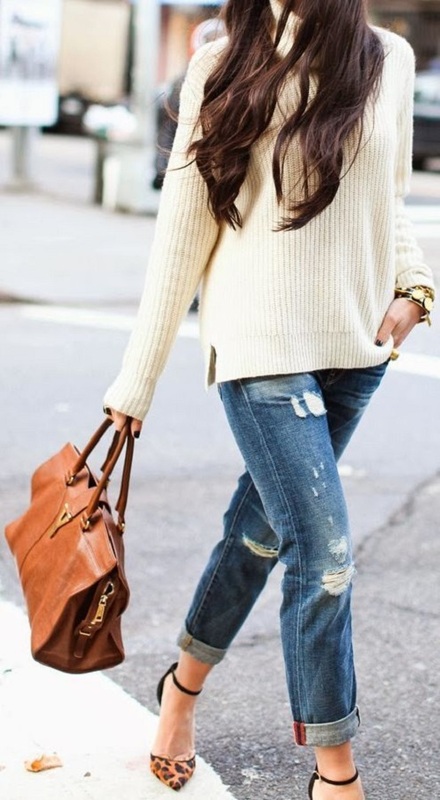 They made me wonder, what is it that makes distressed jeans so appealing? You don’t need to look far, just a glance at Pinterest feeds, to see that they are all over. So what is their charm? And whatever it is, it is working alright: be it skinny, leggings, boyfriend, slouchy, or baggies, we are actually buying brand new pants that have had a lot of work done to destroy them: cropping, shredding or ripping them, giving them a vintage look, a dirty trashed color or big empty holes known as Freebird. The simple explanation is that these jeans are just the latest thing in fashion. But for a fashion, they have stuck around for a long time, and they don’t look to be leaving any time soon. 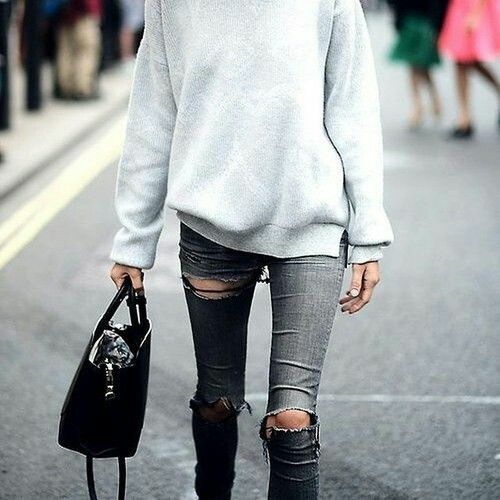 So I can only assume that the sensation created by distressed jeans is the fashion world’s way to construct an added touch of easygoing, unconstrained cool. Whether you have it or you don’t, these jeans can do the trick and help you out. Here are just a few examples; you can find many more on my Pinterest Board. Enjoy the inspiration!